Korean conglomerate Lotte Group in March opened a duty-free shop in Tokyo’s luxurious shopping district Ginza, drawing a crowd to its opening ceremony early one morning. To be more precise, they were there to see the duty-free shop’s spokespersons -- EXO, a K-pop boy band under the talent agency S.M. Entertainment. EXO has sold more than 3 million albums since 2013 and has a large social media reach that includes 2 million followers in total on its Instagram accounts. 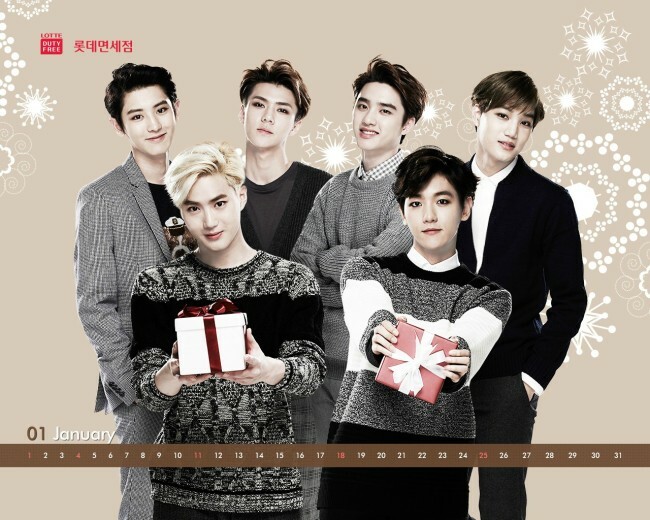 In light of such popularity, businesses in Korea have been leveraging on EXO by using them as brand models. Some of them have launched exclusive products using the idol group’s image. The Korean media calls this the “EXO effect,” referring to a surge in sales of EXO-related products. Prior to Lotte’s duty-free shop opening, the souvenir shop SUM Market had opened below S.M. Entertainment’s head office in southern Seoul on March 4. There, an array of memorabilia including T-shirts, tea and kitchenware are displayed with the K-pop artists’ pictures printed on them. Even the packaging of instant meals are embellished with the faces of the K-pop idols at the convenience store WithMe in a corner of SUM Market. 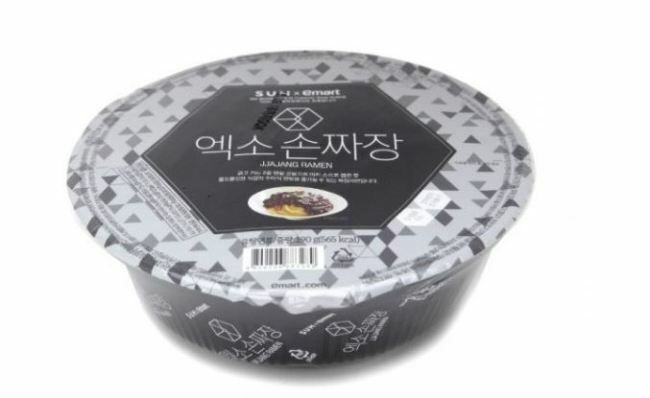 Cup noodles such as EXO jajang and EXO jjambong are displayed. Made in collaboration with the S.M. artists, such food items are selling like hot cakes and they are especially popular with Hallyu fans abroad. K-pop artist-themed meals account for over 70 percent of total sales here. E-mart, a supermarket unit of retailer Shinsegae Group, was behind the collaboration between the K-pop stars and the Korean products was E-mart. The meals are also available at E-mart and its online shopping platform, E-mart Mall. The friendship between Shinsegae Group Vice Chairman Chung Yong-jin and S.M. Entertainment head producer and founder Lee Soo-man is said to have been a factor in the creation of such products. Chung and Lee have common alma maters -- Seoul National University and Kyungbok High School. Building on momentum from the collaboration with S.M. Entertainment, E-mart is looking to increase sales of its private label line in South East Asia, including the supermarket chain’s packaged food brand Peacock. Meanwhile, another fashion and retailing giant E-Land Group has hit the jackpot from a clothing line in partnership with EXO. 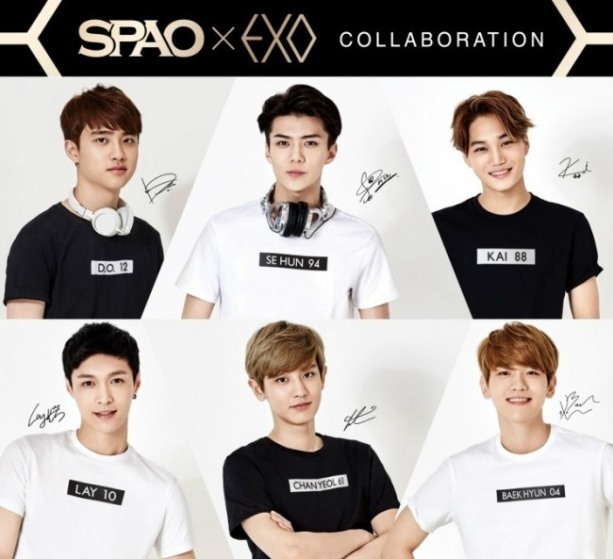 E-Land’s casual wear brand SPAO rolled out 10 types of EXO T-shirts in July last year. Each of them has EXO’s logo or its members’ names, autographs and zodiac signs. About 30,000 pieces were sold within two months of them going on sale. E-Land decided to hire EXO to promote SPAO at home and abroad. 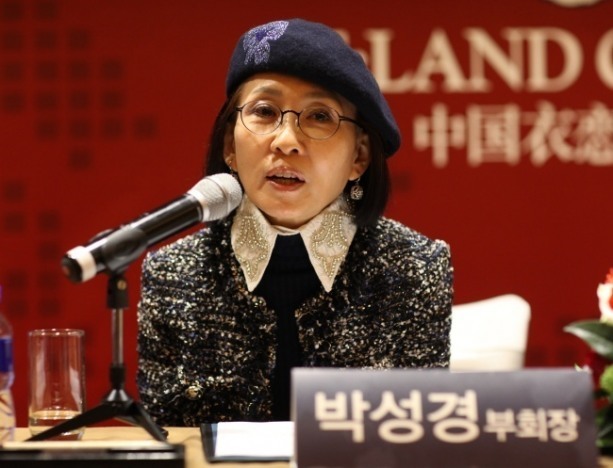 E-Land Vice Chairman Park Sung-kyung has been pushing SPAO to reach the global market since it was launched in 2009. He struck a collaboration deal with S.M. Entertainment to promote the brand and attract Hallyu fans abroad. Besides SPAO, the retail group also has other fashion brands, including MIXXO, which sells womenswear, SHOOPEN, which makes shoes, home goods store Butter and jewelry brand LATEM. SPAO and MIXXO opened stores in China in 2013, and both entered the Hong Kong and Taiwan markets last year. E-Land’s affordable brands are expected to ramp up its number of overseas stores to 10,000 by 2020, according to Park. Park is the younger sister of E-Land founder Park Sung-soo. She studied clothing and textile at Ewha Womans University and later worked as a designer for E-Land’s clothing brands including Hunt, Brentano and Roem. Park is familiar with the entertainment business as her son, Yoon Choong-keun, was a member of the boy band Eagle Five in the late 1990s.